Without immigrants and the influx of knowledge brought by them to our country’s shores, American innovation and the overall economy would look nothing like it does today. Simply put, foreign immigration fuels American innovation. Immigrants often have science and engineering degrees, or they attend U.S. universities to further their educational dreams, and immigrants obtain patents at twice the rate of native Americans, according to the 2003 National Survey of College Graduates. While the United States isn’t the world’s largest destination for foreign immigrants, we do take in 57.1 percent of the world’s inventor community, according to statistics reported from the World Intellectual Property Organization. 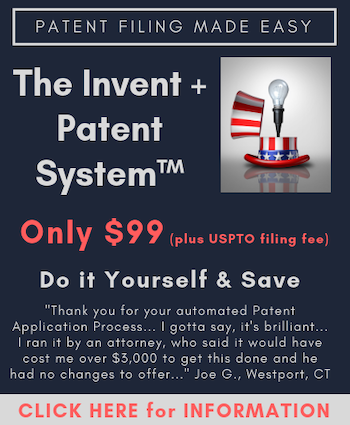 Moreover, a report from the bipartisan Partnership for a New Economy found that in 2011, 76 percent of the patents earned by the top 10 patenting American universities listed a foreign inventor. The current election cycle, as with many recent ones, has seen a great deal of focus turned towards the issue of immigration reform, with much of the debate centered on 11 million undocumented workers currently in America. Although the agriculture industry is largely the source of this issue, there can be no doubt that the overwhelming majority of the immigrant population in America wants to be productive wage earners, whether those wages are earned in the fields or in research laboratories. Candidates running for the respective presidential nominations of the Republican and Democratic parties have weighed in on the topic of immigration reform. Some, such as Republican front-runner Donald Trump, have made strong comments advocating the deportation of immigrant populations. In light of this, we wanted to take some time to explore how immigrants have been able to contribute to our nation’s spirit of innovation. Surprisingly, we found that some of these inventions encompass products that are about as American as apple pie. Before proceeding, it is worth noting the conspicuous absence of Nikola Tesla, who became a naturalized U.S. citizen in 1891. While there have been many great immigrant inventors, Tesla was perhaps one of the greatest, if not the greatest, the U.S. has ever seen. We did not forget Tesla, and promise to follow up with an article devoted his great inventions, many that were truly ahead of their time. Americans spend about one-third of their day on their cell phones, and although today’s smartphones are much far removed from the earliest telephones, we owe our reliance on this little gadget to a Scottish immigrant named Alexander Graham Bell. Born in Edinburgh in 1847, Bell’s family immigrated to Canada in 1870 in order to escape the growing threat of tuberculosis in Britain. Bell’s fame as the creator of the telephone was sealed with the 1876 issue of U.S. Patent No. 174465, entitled Improvement in Telegraphy. It protected a system of telegraphy in which the receiver is set in vibration by the employment of undulatory currents of electricity. This and other patents protected Bell’s position in the early days of telecommunications despite years of legal battles. During his life, Bell also patented improvements to aviation technology, hydrofoils and air conditioning. Although not a high tech innovation, in terms of Americana there’s very little that eclipses the hot dog. Sausages are traditionally part of German cuisine and the nickname “frankfurter” does speak to the 15th century creation in Germany of that particular wiener. However, the inception of the hot dog served on a bun is tied to German immigrants living near New York City in the latter half of the 19th century. In 1867, German immigrant Charles Feltman sold the first hot dog on a roll in the coastal Brooklyn neighborhood of Coney Island. The popularity of hot dogs as a food item began to soar thanks to the business expertise of Nathan Handwerker, a Polish immigrant who opened the first Nathan’s hot dog stand in Coney Island in 1916. Other hot dog origin stories also involve immigrants, including a Caribbean man named Thomas Francis Xavier Morris who became a well-known purveyor of sausages in Paterson, NJ, by the late 1800s. Video games are simply the second example in this non-exhaustive list of inventions from immigrants which came from those escaping political oppression and almost certain death. Ralph Baer was born in 1922 in Rodalben, Germany, to Jewish parents. The family fled Germany just two months before the infamous Kristallnacht attacks on Jewish businesses in Germany. Baer would serve the U.S. military in World War II and get his college education in television engineering on the G.I. Bill. He worked in many electrical engineering positions before joining defense contractor Sanders Associates in 1956. Baer first conceived of a “game box” in the summer of 1966 which would be capable of playing sports, action and board games through a television set. Baer’s design would be licensed by Magnavox and sold as the Odyssey, the world’s first commercial home video game system, in the early 1970s. In April 1973, Baer was issued U.S. Patent No. 3728480, titled Television Gaming and Training Apparatus, protecting an apparatus for generating “dots” on the screen of a receiver to be manipulated by a participant in combination with a standard television receiver. Magnavox reportedly won more than $100 million in patent lawsuits involving the Odyssey during the 20 years in which they licensed Baer’s patent. In December 2014, we published our own profile of Ralph Baer here on IPWatchdog after his passing at the age of 92. A pair of denim jeans, often blue, has been the workwear of choice for generations of U.S. laborers, and even the fashion world has caught on to the desire for distressed jeans with a worn appearance. The clothing line which is perhaps most synonymous with jeans would be Levi’s, a business and fashion brand which was built, again, by a German immigrant. Levi Strauss immigrated to America from Germany after the death of his father in 1846 and worked in a wholesale dry goods business started by his brothers. Levi made his way west towards San Francisco during its gold rush heyday to open a dry goods business of his own. In the early 1870s, Strauss provided important backing for a jean design involving rivets that would begin to become very popular by the end of the 19th century. Strauss is listed as an assignee on U.S. Patent No. 139121, entitled Improvement in Fastening Pocket-Openings and co-assigned to Jacob Davis, a tailor from Reno, NV. It protected the use of metal rivets at the edges of pocket openings in order to prevent those edges from ripping, making them more durable for jobs involving heavy manual labor. As of 2011, denim jeans have become a $91 billion per year industry. What’s more American than American cheese? Well, not the name behind the most recognizable brand name in processed American cheese, it turns out. In 1903, James L. Kraft wound up in Chicago, IL, after leaving his native country of Canada and started a business by buying cheeses at a wholesaler and selling them to local merchants throughout the city of Chicago. Kraft experimented with new ways of packaging cheese in order to maintain freshness and hit upon a new way of processing cheese which he patented in 1916. Kraft’s U.S. Patent No. 1186524, entitled Process of Sterilizing Cheese and an Improved Product Produced by Such Process, claimed an improved process of rendering Cheddar cheese by heating and melting the cheese, stirring the cheese while melted and raising the temperature while the cheese is in a homogenous condition to effect complete sterilization and then enclosing the cheese in protective containers. By 1930, more than 30 percent of the cheese consumed in America was sold by Kraft. Much like the hot dog, the conception of basketball didn’t exactly involve a research and development laboratory but the sport has become such a storied American pastime that it’s interesting to note that the game comes to us from a Canadian physical educator. James Naismith was born in 1861 in Almonte, Ontario, and came to America in 1890 to teach at the YMCA International Training College in Springfield, MA. Naismith was charged to come up with an indoor sport to provide an athletic outlet during the winter months and on December 29th, 1891, the first game of basketball took place involving nine players on each side and only 13 rules. In 1898, Naismith was hired to coach basketball at the University of Kansas, where he would stay until his retirement in 1937. There’s no patent and Naismith didn’t do much to capitalize on the popularity of the sport, but without this particular immigrant, our modern world would probably know very little about Michael Jordan or LeBron James. The Armenian Genocide between 1915 and 1923 decimated the population of two million Armenians that had been living in Turkey during the final days of the Ottoman Empire. One young man, Luther George Simjian, was able to make his way out of the bloodshed and into America by the age of 15, having been separated from his parents during the conflict. Over the course of Simjian’s life, he would earn more than 200 patents in the fields of optics and electronics but became best known for his 1960 invention of the Bankograph, the world’s first automated teller machine (ATM) where customers could deposit checks and cash without a personal bank teller. The machine didn’t catch on in its first incarnation; a widely reported Simjian quote indicates that the service was mainly used by prostitutes, gamblers and others who didn’t want to speak face-to-face with a teller. One of Simjian’s early patents in this field was U.S. Patent No. 3076965, entitled Depository Machine Combined with Image Recording Means. Issued in February 1963, it claimed a depository machine provided with image recording means and being adapted to accept for deposit articles such as paper documents, bills, checks or currency. Born January 25th, 1878 in Uppsala, Sweden, Ernst F. Alexanderson would end up having a huge impact on electrical engineering during his days at the General Electric Company. Taking an interest in the growing field of alternating current electricity by the dawn of the 20th century, Alexanderson emigrated to the United States specifically to work with the renowned mathematician and engineer Charles Proteus Steinmetz. Alexanderson worked under Steinmetz at GE and was tasked to build a spark transmitter capable of producing a continuous wave suitable for carrying a human voice. Working with another foreign pioneer in radio, Canadian national Reginald Fessenden, the pair was able to demonstrate the transmission of the human voice across telegraph wires in December 1906. One of Alexanderson’s radio inventions can be seen in U.S. Patent No. 1173079, titled Selective Tuning System and issued in February 1916. It protected a method of selecting sustained oscillations of a given frequency from disturbing oscillations differing in frequency by impressing all the oscillations upon a circuit, reducing the effect of disturbing oscillations. Through the 20th century, radio became an incredibly large part of the daily lives of Americans for both news and entertainment consumption until the television grew in popularity during the second half of the century. It wasn’t just a case of the US accepting immigrants, it was also a case of incompetent regimes throwing their best and brightest out of the country. The prime example of this phenomenon is the Manhattan project, staffed in no small part by scientists ejected from Germany.